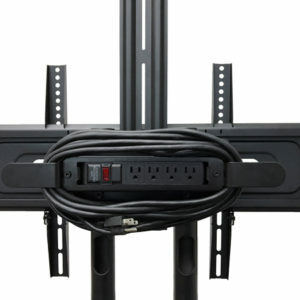 Fits Most 32″-60″ Flat Panel LED, LCD TV. 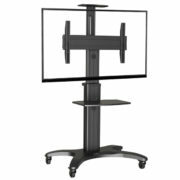 Whether you are looking for a large plasma TV stand for your limited living room, or can not find best way to setup your LED, LCD TV or display in meeting room, exhibition room, restaurant, here you will find the best selection. 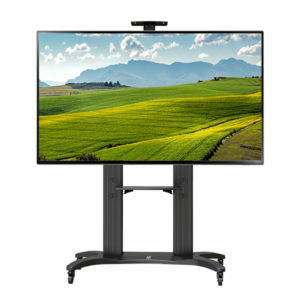 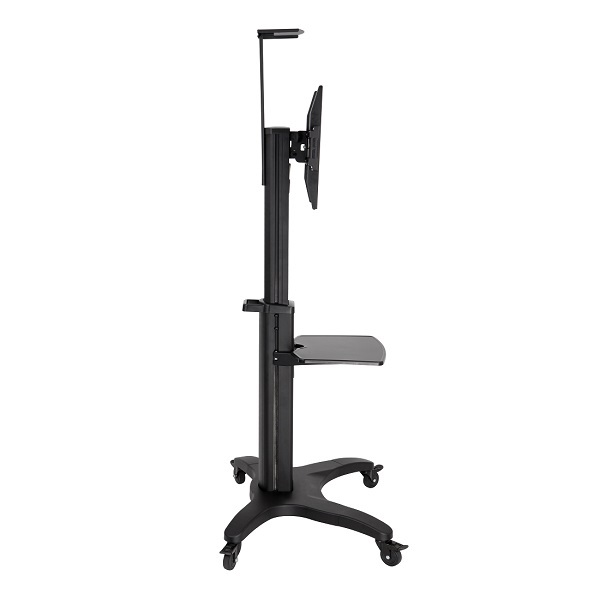 This unique, nice looking, high quality mobile display stand AVF1500-50-1P is designed to easily enable display mobility for entertainment, lecture, meeting and conference and exhibition. 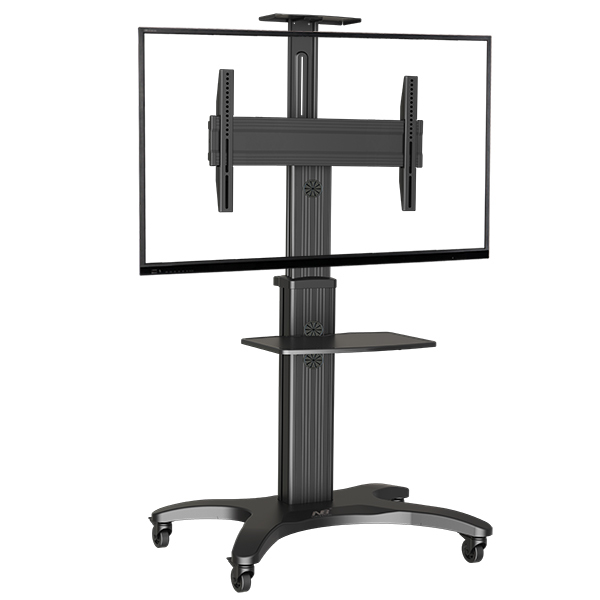 This innovative mobile display designed include a rigid and heavy-duty anodized aluminum alloy columns to withstand an overall 1524mm (60”) screen and maximum 80 lbs (36.4kg) weight. Comes with standard camera tray and accessories AV shelf, AVF1500-50-1P designed with a large and rigid aluminum contour base construction to provide good balance and good support to ensure stability; TV height adjustment by releasing screws at both sides; Integrated cable management inside column; Carries up to 80 lbs(36.4kg) and flat panel TVs from 32” to 60” with 4 heavy duty braked casters offer easy mobility or static usage. 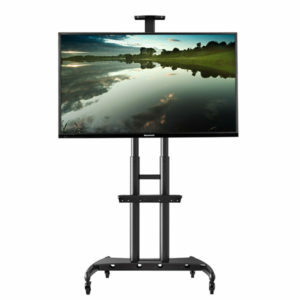 Designed with no sharp edges to provide a safe moving display unit and avoiding accidents for users. 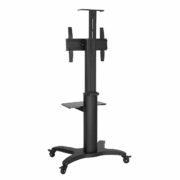 Modular blocks designed make this stand quick and easy to assemble and dismantle. 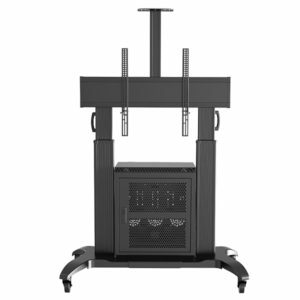 G200 AV cabinet is an optional accessory for AVF1500-50-1P. 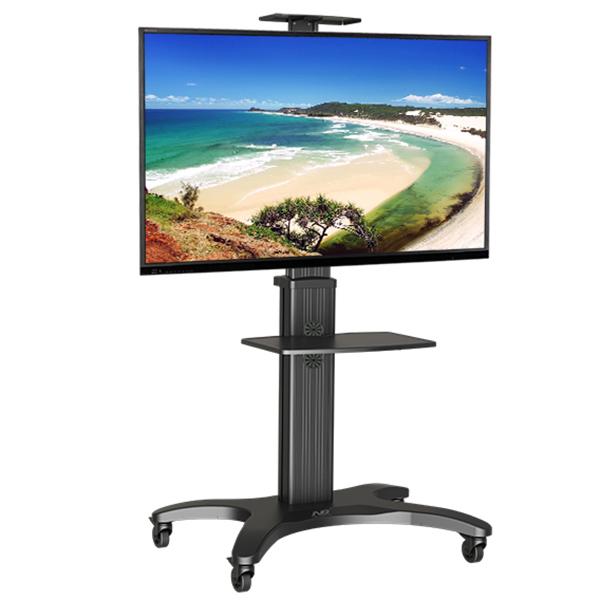 It can be your mobile workstation or point-of-sale (POS) after installation.